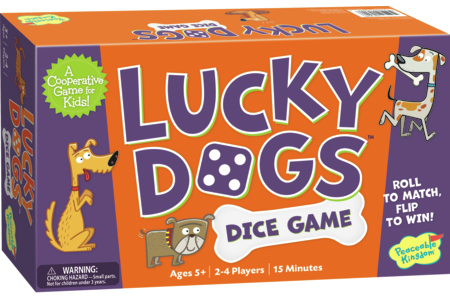 Lucky Dogs is a cooperative dice game designed for kids and families (2-4 players, ages 5 and up). 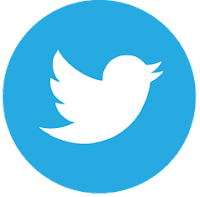 It is simple to learn and a whole lot of fun. Let’s take a look. Lucky Dogs consists of 24 dice, 10 bone tiles and 1 dog house tile. 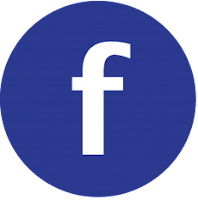 The concept of the game is pretty simple. Roll the right numbers to complete the tiles. Complete the tiles that spell out L U C K Y Dogs and you win. Run out of dice and you lose. Of course there are restrictions and rules, but they aren’t too hard either. 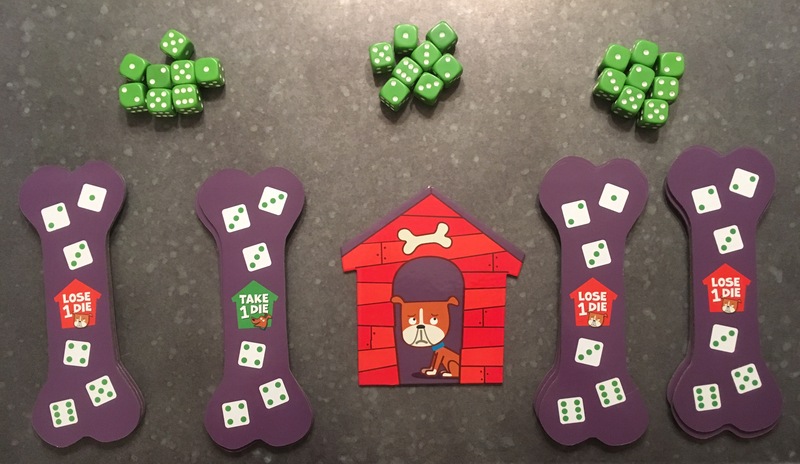 Setup and Gameplay: To setup the game you put the Dog House in the center of the table. Shuffle the Bone tiles and deal out 4 stacks face up, with 3 Bone tiles in each stack. Then give everyone an equal number of dice. On your turn you roll 6 of your dice. If you have more than 6 they will not come in to play this turn. 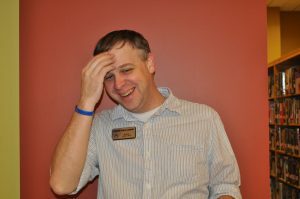 If you roll any multiples, they are locked for this round and not available to be played. 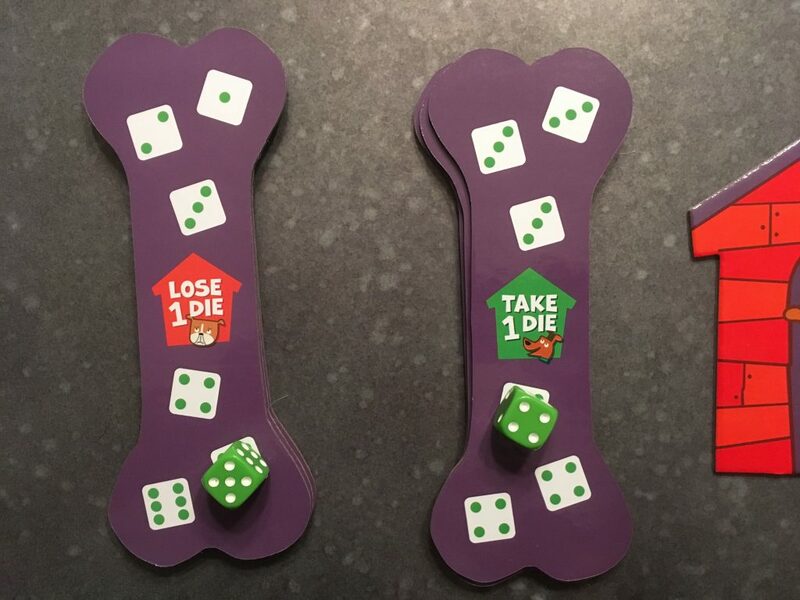 Of the ones that are not multiples, choose at least 1 die to place on one of the Bone tiles. You can place more than 1 die per turn, but only 1 die per Bone tile. You never have to place more than 1 die. 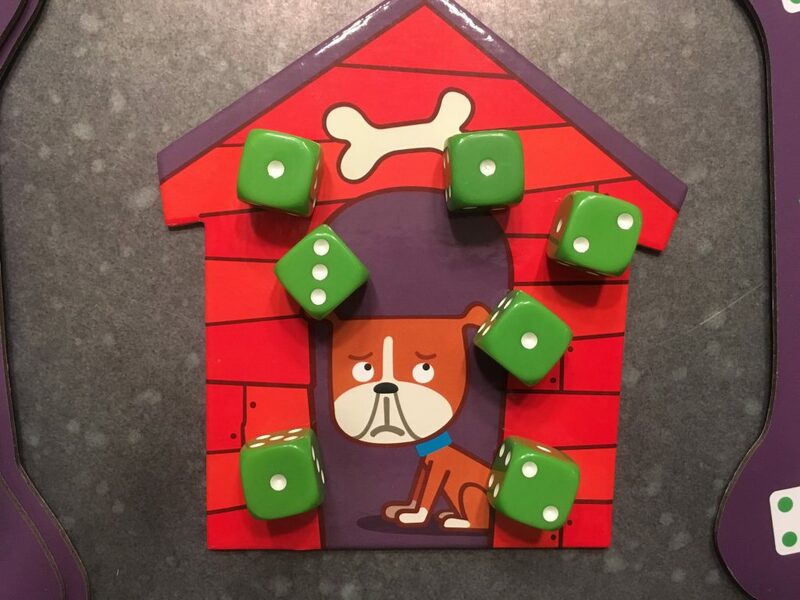 If you cannot place any dice at all this turn, you must lose one of your dice to the Dog House and the grumpy dog who lives there. 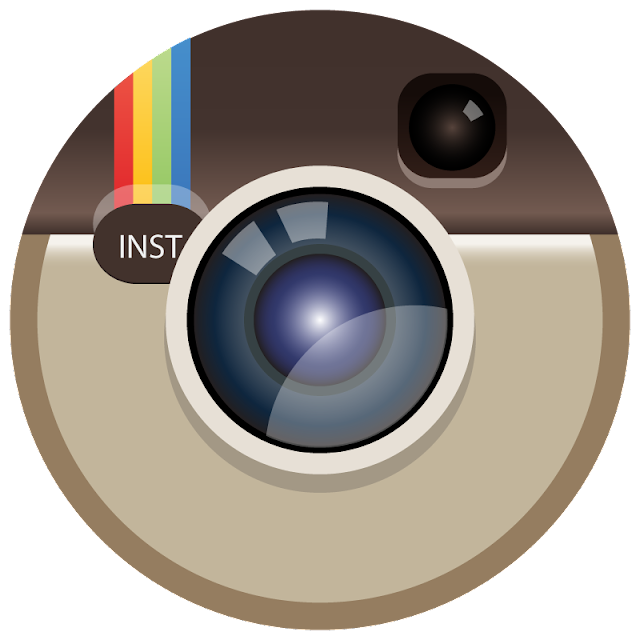 Your goal is to fill all of the places on the tiles with dice. It doesn’t matter who finishes off the tile since you are all working together. If you finish off one of the tiles, complete the action described. You will either Lose 1 Die to the Dog House or Take 1 Die from the Dog House. After this you distribute the remaining dice on the tile between all the players 1 at a time starting with the player on your left and going clockwise. After all the dice have been distributed, flip over the tile and see what it is. You are trying to spell L U C K Y Dogs. If you have found a letter you didn’t have before, Huzzah! If you already had that letter, too bad. You keep going until you spell L U C K Y Dogs or until you run out of dice. Thoughts? Pretty simple, right? And it is, but it is also quite challenging at times. 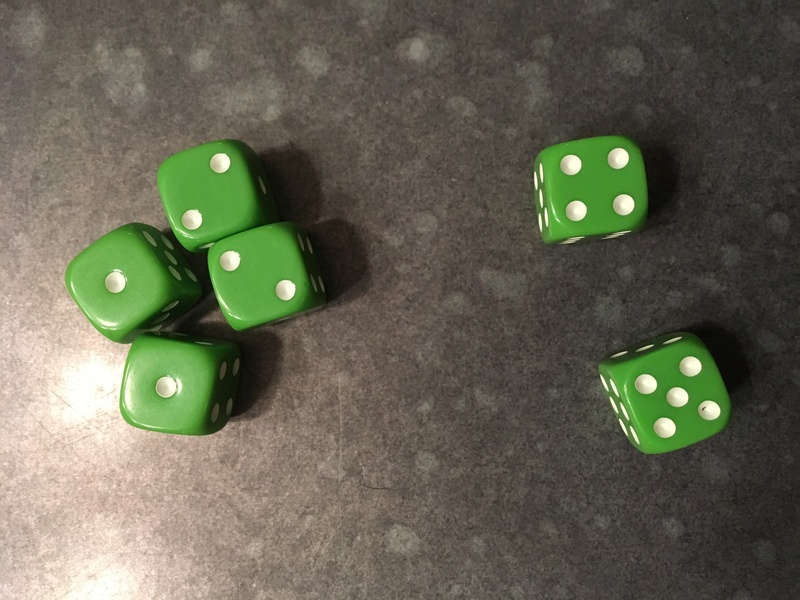 Of course, since it’s a dice rolling game, Luck plays a large role in the game. But, if you work together and are methodical enough, you can almost always do well, if not win. Certain strategies arise pretty quickly. There are only 4 tiles that allow you to Take 1 Die from the Dog House. There are 8 that make you Lose 1 Die. After a few games, you start to realize that there are certain letters that you can only get from the Take tiles and certain ones you only get from the Lose tiles. This is probably my only criticism of the game. I think it might have been better to have the tiles be a little more random, maybe 1 L is a Take and 1 is a Lose tile. Same thing for the others. But, this might have introduced a little too much randomness into the game. Also it is almost always better to try for at least 1 of the Lose tiles first, so that you have at least 1 die on the Dog House tile before you complete a Take tile. Early on, you may all be trying to place as many dice as possible, as quickly as possible. Later on though, you start to think about saving the dice until you complete a tile instead of spreading them out over multiple tiles, and thus spreading yourself too thin. Playing with the youngest kids, it is often hard to stop them from using every die that is available to them, but even if you run out of dice the game is still fun. I used it as a way to let them decide for themselves what to do. We won the first couple of times and found it pretty easy going. So much so, that my niece asked me “How do we lose?” But of course our luck turned the next game and she found out. The game is simple enough that young kids can play, but deep enough that adults don’t find it boring. 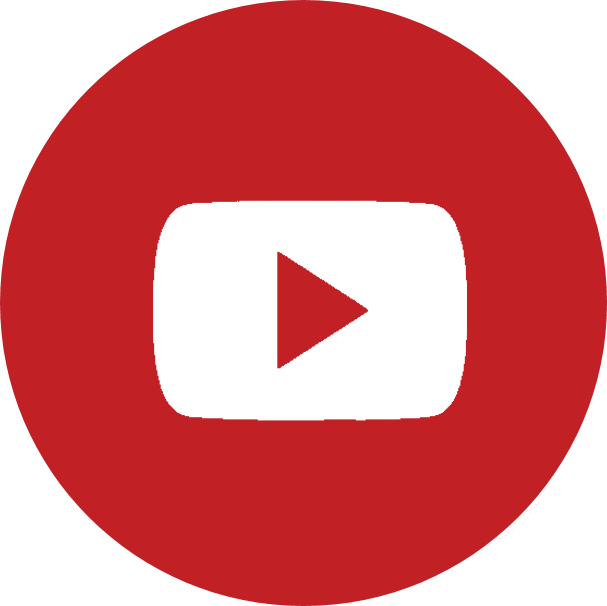 It is not an extremely challenging game, which is good since it is meant to be played by young children and to be an enjoyable time. But it is just complex enough to make it worth playing. I would put it up there with Outfoxed on my list of games to play together, which for me is high praise indeed. This one has found a permanent place in our collection, and we will be playing it a lot. Basically, it’s a perfect family dice game. 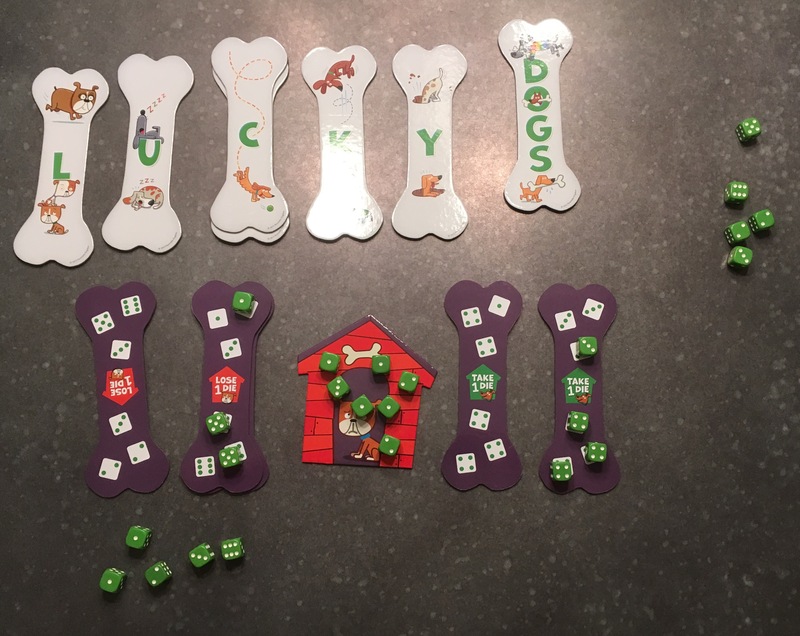 Peaceable Kingdom sent Lucky Dogs to us as part of the Everything Board Games Network in exchange for an honest review, which is exactly what we provided.